I was very excited to begin my Navarro County Real Estate Career in 2007. Being a native of Corsicana, I specialize in all Navarro County and Richland Chambers Lake areas. I consider our community an excellent place to live and love to share my enthusiasm for the many neighborhoods available. My many years of experience in mortgage lending and the title company process allows me to share to my knowledge with clients resulting in a smooth-stress free home buying and/or selling transaction. I pride myself on always listening to my clients and putting their needs first. No transaction is too big or too small. 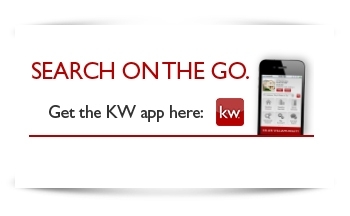 I am very proud to be a part of the Win...Win Philosophy of the Keller Williams Realty Family! "Competent professional who is enthusiatic about providing the best service to the client. All clients should be so lucky to get Phyliss Jones as their agent"
"Great realtor and friend...most highly recommended"
"Phyliss was exceptional, attentive and a great communicator"
"Always willing to tackle difficult and sensitive issues. Phyliss goes above and beyond the requirements"
"Very knowledgable and informative, always upbeat"
"Very kind and super easy to work with"
"Phyliss really made my experience buying a home as easy as possible and will refer her to others"
"Always available...Quick, smooth and easy. Thanks aren't enough"
"Friendly, enthusiastic, easy to talk to...thanks so much for being our Champion"
"She could not have been more helpful"